It was by chance when we crossed path with this particular curry puff stall. The banner displayed right outside the coffee shop caught my attention. 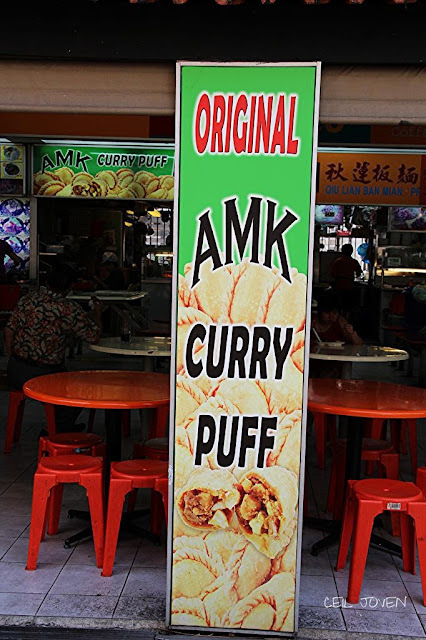 It said, 'Original AMK Curry Puff'. Honestly, i did not quite realise. I have not been patronising as much after they increased their price to $1.30. I guess their business is not as good as before. Only a handful of curry puffs were on the display. It tasted quite the same. It is rather moist with an aromatic curry taste and full of ingredients like cubes of potatoes and bits of chicken together with a slice of hard boiled egg. 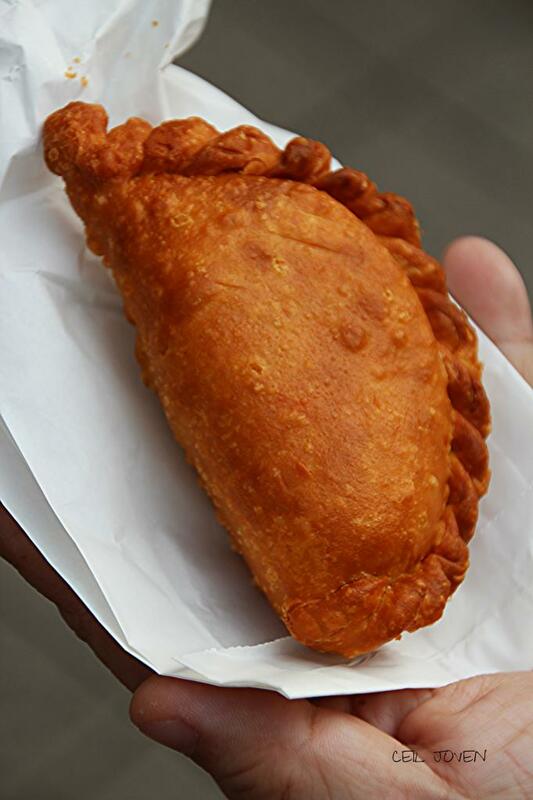 The crust was rather flaky with a slight buttery taste and fried well to give it the rather crispy texture, not too oily though. It seemed the Auntie and Uncle started this staff from scratch. They do not have any assistant now just both of them. 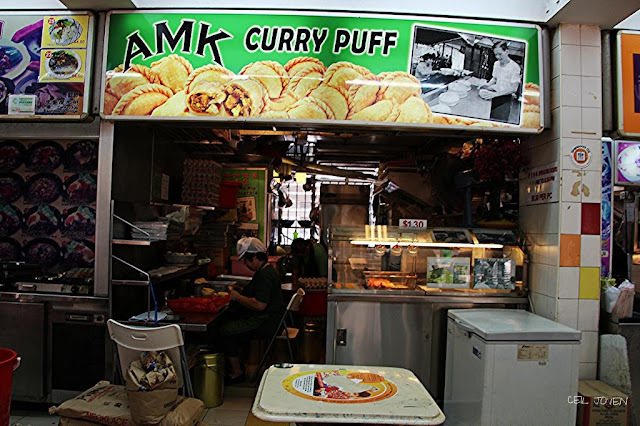 The Auntie was sitting down, hand making the curry puffs one by one and the Uncle was right behind, preparing the filling. 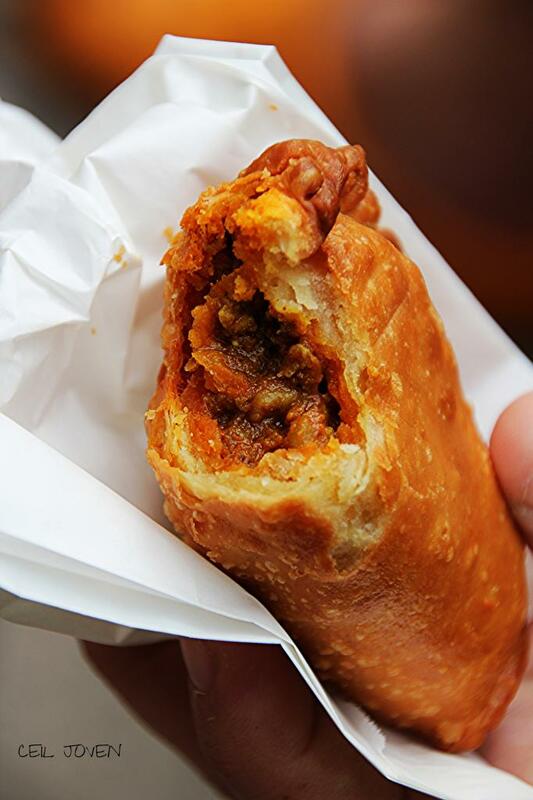 It is still one of the better Curry Puffs that i ever tasted. This place cyrry puff is very good imo. oCK, TipT**, A1 are no longer what they used to be. Rolina at Sgoon Gdn and this one are the two I think is still of better grade. A MUST TRY Chicken Katsu Cheese Curry Rice. Attentive Service but Average Foods. [HONG KONG] The best milk tea. Are you a fan of dry Ban Mian too? That Scientifically Cooked Wanton Mee. Cheapest Peanut Pancake maybe but not the best. What's so wonder about this bun? No service charge equal to no service provided?